The PCL1300, designed and built entirely by DEGREANE HORIZON, has been tried and tested at more than fifty sites. 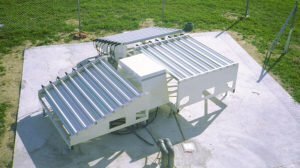 DEGREANE HORIZON is the only radar supplier who builds all of the major system hardware and software elements in-house. The result is unmatched performance, reliability and support. 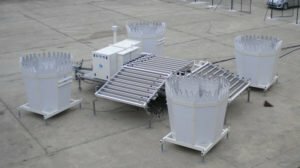 The PCL1300 Wind Profiler Radar system provides real-time vertical wind profiling at altitudes ranging from 75 to 5,000 meters, depending on output power and atmospheric conditions. It detects wind shear and measures turbulence. 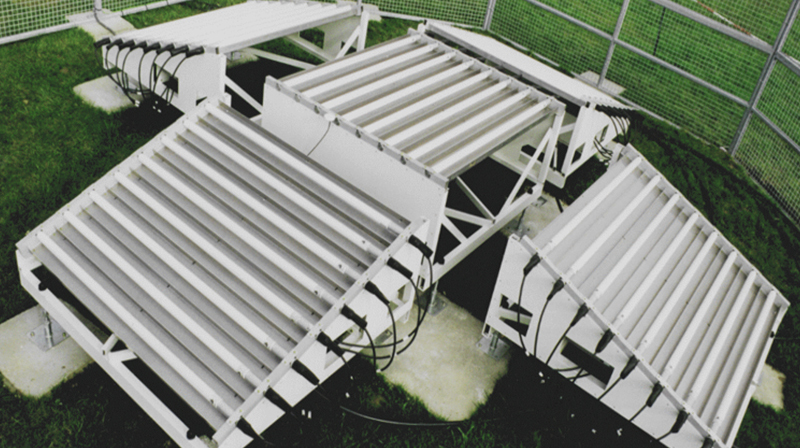 Wind Profiler Radar systems are available in 3- or 5-panel versions. The 5-panel system (often used for research) provides more precise estimates of wind speed. 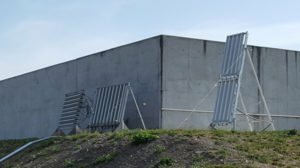 Add a RASS (Radar Acoustic Sounding System) in order to detect temperature inversions. 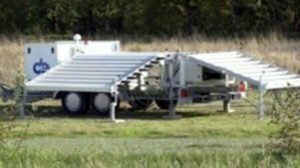 An oblique beam radar system can be also added to detect horizontal wind shear for enhanced air safety. 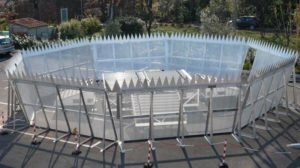 Clutter Fence: The shield surrounding the antenna unit blocks radar echo reflecting off objects on the ground. 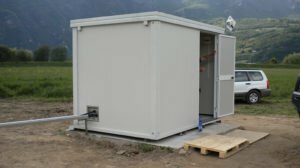 The PCL1300 Radar system can be supplied with an air-conditioned shelter to protect the electronics control unit in optimal environmental conditions.